Up until recently, if you’re not a Watts or East LA local, chances are the only way you would have caught wind of the epic street food from All Flavor No Grease, would be through social media, or one of the many online features (Business Insider, Foodbeast, First We Feast, etc). Owner Keith Garrett, also known as ‘Chef Ocho’, started setting up shop on his front lawn for a few hours a day in his local neighborhood, and attracted lines nearly 200 people long, with some waiting up to two hours for one bite. With regular runs to the meat market, a connection with his ‘tortilla guy’, and a truly infectious personality, Keith made his mark on the LA community and beyond, with some foodies driving hundreds of miles just to get a taste. 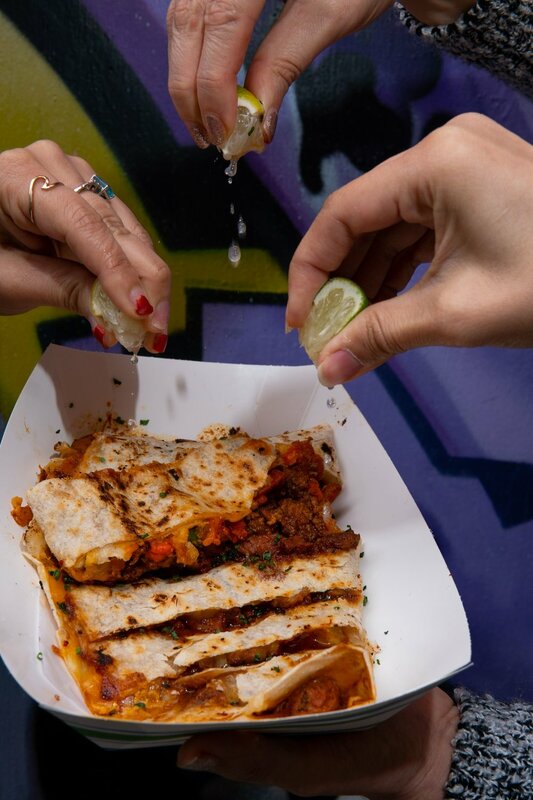 Besides his nontraditional ways of making himself known, the product he puts out is on a whole other level as well -- giant quesadillas that could quite possibly feed four, outstanding street tacos, and more. 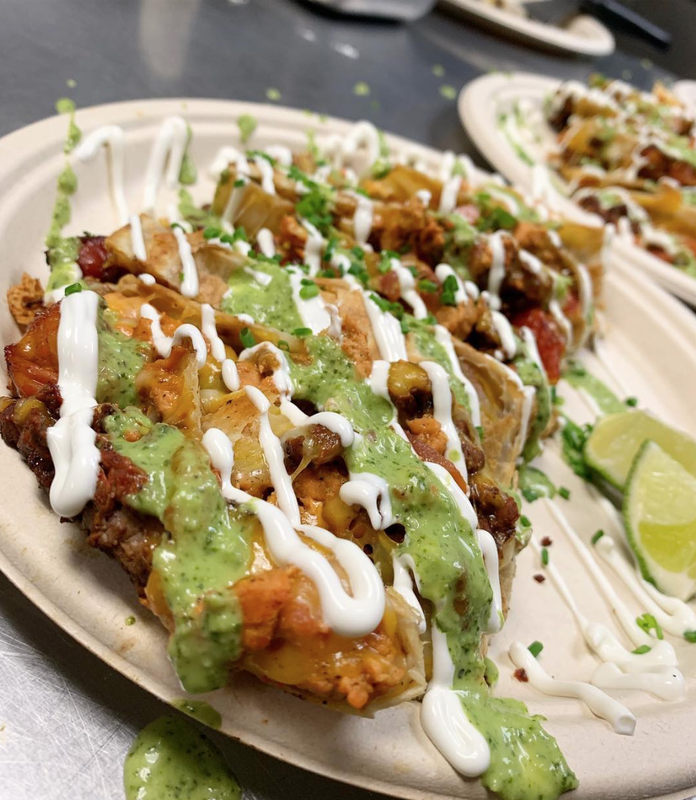 Most recently, Keith has brought his self-styled versions of Mexican food and crowd-pleasing entertainment from a driveway off 108th Street, to 4th Street Market in downtown Santa Ana. Aside from his popular grub, he and his team hope to bring a soulful taste to the Orange County community. While simple and straight forward, the All Flavor No Grease menu available at 4th St Market is sure to satisfy your cravings for authentic, flavor-packed street food. 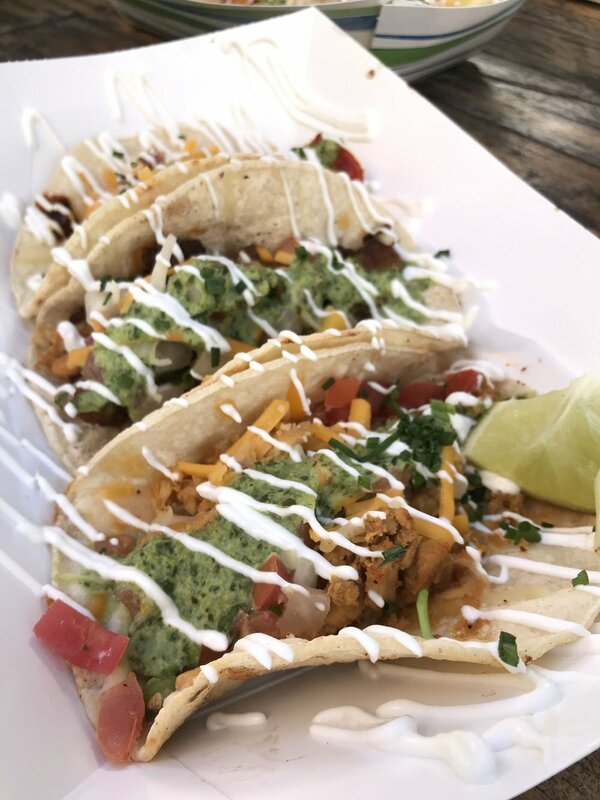 The massive flour tortillas are grilled to the perfect point of crispiness, and filled to the brim with a blend of Mexican cheeses, a specialty homemade pico de gallo, and your choice of marinated protein. Whether you’re in the mood for chicken, steak or seafood, the options are minimal but hardly lacking. If you can’t decide, might as well go all out and order the Triple Threat. 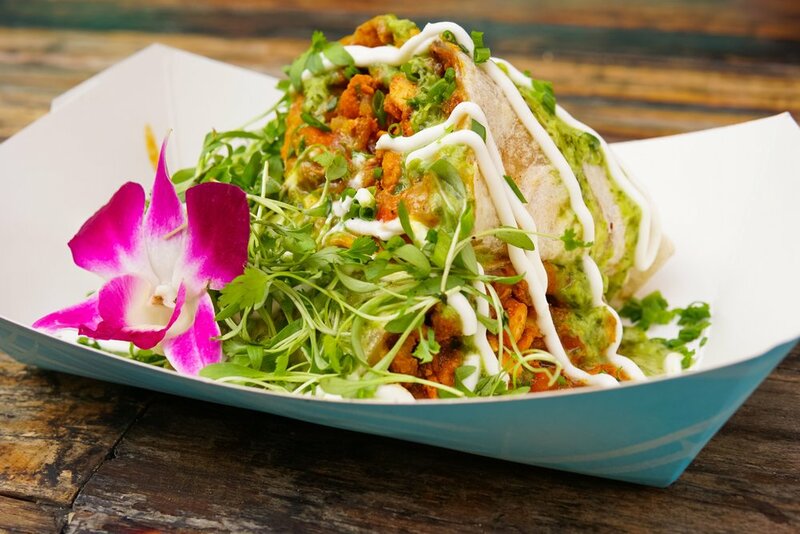 Most importantly, each item is generously drizzled in Chef Ocho’s signature green sauce and sour cream. Dining on a Dime Review - Why Aren’t You Eating This Mind-Blowing Quesadilla in South LA?